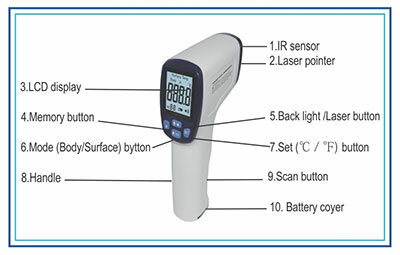 Non Contact Infrared Thermometer NC-9900 has a rating of stars based on reviews. Automatically saves data & automatically powers off in 8 seconds if no operation. Hands First Sanitiser. The 50ml pump foaming bottle provides over 120 metered applications, that’s over twice the applications of an alcohol based gel of the same volume. It is the perfect size to fit easily into a handbag, glove box, nappy bag or anywhere you need it to be accessible when on the move. Being non-flammable, it is safe to carry in your vehicles and on a plane. HANDS FIRST is an antibacterial, alcohol free instant hand sanitiser. It is a quick, efficient and easy way to sanitise hands without the need for soap, water or towel. Simply apply one pump to hands and rub together until dry (10 seconds). Once you use ‘Hands First’ you won’t want to use anything else. It comes in a unique metered foaming pump application which makes it very economical. urineFREE® is a guaranteed* all-in-one bio-enzymatic product that will clean and remove ALL urine odours and stains around the household. It is 100% safe to use as it contains no harsh or hazardous ingredients, it is biodegradable and environmentally friendly and safe to use around humans or animals. urineFREE will permanently remove urine from carpets, fabric, wood floors, cement, tiles, porcelain, mattresses and other surfaces guaranteed! Urine consists of urea, urochrome and uric acid crystals. This urine free pump action bottle contains 500ml. Its the safest choice for the whole family, keep one in the Bathroom, Kitchen or Nursery. The 200ml pump foaming bottle provides over 400 metered applications and is ideal for the home or work. Being non flammable it is safe to carry in all types of vehicles.